Billtrace Lodging Software is used for Three Star Lodging Hotels. Billtrace Lodging software is in System designing. Billtrace Lodging will be available by the end of March 2011. 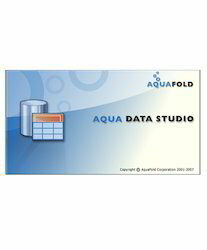 Aqua Data Studio is a database developer's complete Integrated Development Environment (IDE). The IDE provides three major areas of functionality: A) Database query and administration tool B) Suite of compare tools for databases, source control and filesystems, and C) a complete and integrated source control client for Subversion (SVN) and CVS. Owing to the rich industrial experience and expertise in this business, we are engaged in providing Card Scanning Software. We offer the latest software products of efficient use for your company. To keep the computers bug-free, we have anti-virus products such as McAfee, Quick Heal, KasperSky, eScan, Norton, K7, Trend Micro and for smooth running of your work, We also offer the entire Microsoft range. Database tuning describes a group of activities used to optimize and improve the performance of a database. It usually overlaps with query tuning, but refers to design of the database files, selection of the database management system (DBMS) application and configuration of the database's environment. LAMP is a stack of software that forms the basis of most websites on the Internet. It consists of a Linux distribution, Apache web server, MySQL database management system, and PHP server side scripting language. LAMP stack is widely used for building high-availability heavy-duty dynamic web sites (web application). locations, SwirlWeb makes that so much easier. Use the Mail Merge feature with the document templates to generate documents to be printed and given to the employee and file it away online. A number of application have been developed and are currently being designed to meet the customized needs of Defence. 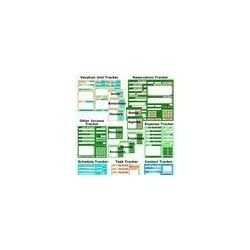 These include Ward Room Mess & Wine Account Software for IN Ships, Shore Mess Establishments, an information repository for Gas Turbine Testing & Tuning Unit for all GTs. Postgres Enterprise Manager, is the only solution available today that allows you to intelligently manage, monitor, and tune large numbers of Postgres database servers enterprise-wide from an integrated graphical console.